August 3, 2016 November 10, 2011 by Vinay Leo R.
The door flies open in a hurry and they barge in, masks and all. As I watch, they come and grab Melanie first, pinning her arms behind her and pushing her toward the hallway. Then I’m dragged out. I see her trying to muster the strength and fight back. I do the same, but my wounds are still raw and they come open, blood falling on to the floor. I manage to make a fist, and give the masked man a punch on the jaw, one with the venom pent up inside me for the past week. He’s weak too, and staggers back on to the walls, holding his jaw. His mouth is bleeding now. I turn around, only to be caught on my nose by the punch from the other guy. I collapse in a heap, and watch as I’m hitched to a standing position and pushed on to a couch in the hall. “What do we do? We can’t hold Natalie here, dammit, my parents will come to know. We’ll have to let them free now. Get the ransom obtained today itself. I knew we should have got it over with three days back. We would have if it wasn’t for you”, I hear one of them say. I could hear the other cursing vehemently as he drank in the realization. But before he can respond though, I hear footsteps and then another terrified scream which is soon silenced. They are now in another room, and their voices are muffled by the walls. On the other side, I hear soft knocks in a pattern. I know Mel is there and I slide off the couch and crawl toward her. There is a strong thud on the floor somewhere, and a little after that, Natalie’s screams slice through the silent house again. 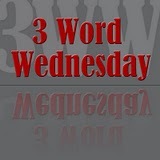 Thom G gives three words to include in our posts, through his meme, Three Word Wednesday. This week, he offers the words Drank, Hitch and Muster as inspiration. Carry On Tuesday is hosted by Keith and offers a line or quote etc. 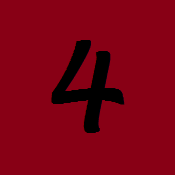 to use in your post. Week #130’s prompt is the quote “Where are you?” which is the opening line of a Nicole Edwards poem. interesting story,very suspenseful makes me want more. It should be interesting to see where you take this. I hope to see it end in the next part. If it goes on into more such suspense filled parts, I would be left with no finger nails and will have to move on to chewing my toe nails. But I love my toe nails, so please finish it fast. I don't want to remain without nails. Great stuff! Can't wait to what happens next. I can't thank you enough for using the Carry On Tuesday prompt in your piece. Reading this makes it all worthwhile. Well! i am confused now! with so many names and so many incidents.. that my mind is too small to grasp these.. but its like a movie.. many be I will read again to understand better! > Maybe, maybe not NANKA. It all depends on Brenda Warren and her wordle words now 😉 :D>> Yes, it should be, I'm waiting to find out too, MARY :)>> There are one or two parts left, SHEILAGH 😀 Hope you enjoy it.>> I hope to end it next part as well, POOJA. 🙂 So your toes might be spared.>> Thanks, KEITH 🙂 Glad you liked it.>> I think it may be because it's not a successive series, KRISHNAPRIYA 🙂 Hope your confusions are solved soon.